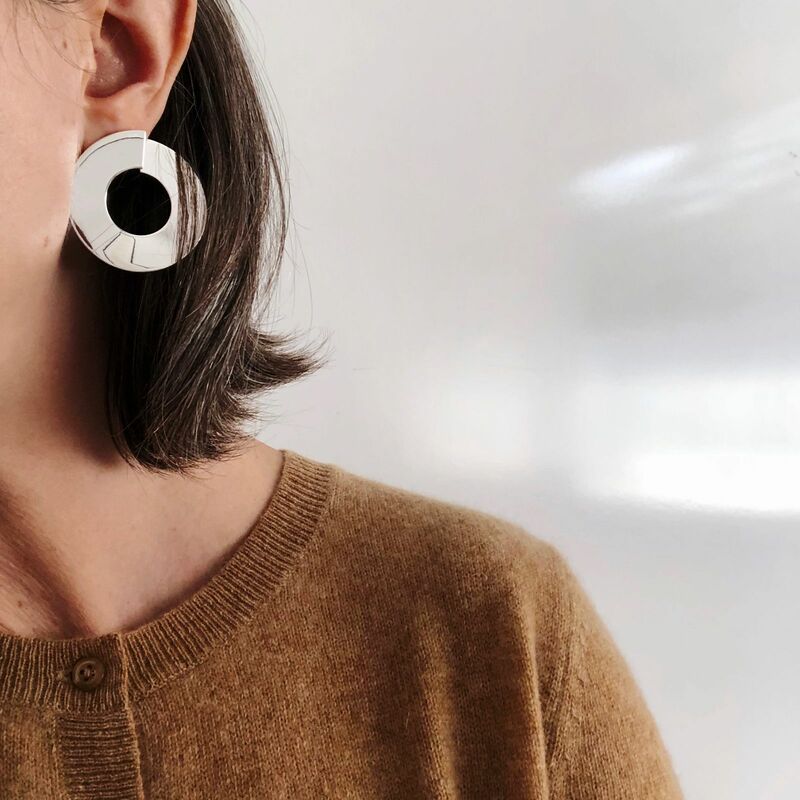 The thin slice of The Carmine Hoops is designed to tuck behind your ear. I absolutely love these earrings! They are very different, and still so simple. I like that they can be worn casually, or dressed up. I love the quality of this product! The quality of these eatings is amazing. Love Jenny Birds’ products, well designed and nice priced. Definitely would recommend to anyone who loves minimal, elegant design. Amazing experience and even better quality! Favourites from the fall 2018 collection. The flat metal catches the light so they stand out from a distance and liven up an otherwise plain outfit. Not heavy at all. So bold, modern, elegant, and stylish.